Jack Bauer would definitely approve of this 24 hour event! All the videos for the sessions at 24 Hours of PASS are now available for free. Check the session schedule for a complete list. Also, many of the PASS virtual chapters have recordings of their meetings online. So What the Heck is Power BI? The other day a secondary family member said “we’re still on Microsoft 2010”. Another said “My friend is using Windows 2003 and can’t open a document I sent”. They were apparently talking about versions of Office products. I get so deeply engrained in the Microsoft Business Intelligence community culture that I have to remind myself that most people don’t spend all their time keeping up with these products that are constantly in motion. And these are just Office users! When I work with BI consulting clients and business folks in the industry, it’s apparent that most people really don’t understand where these products and services begin and end. Mark Tabladillo has done the world a service by laying out exactly what Power BI is, the products that it includes, and how to license it and get started. 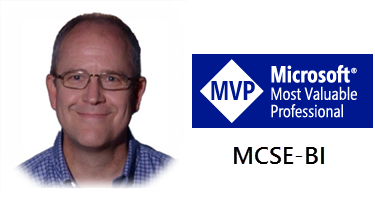 This is a great resource on the Microsoft MVP Program Blog that breaks it all down and helps it all make sense. Thank you, Mark! Fundamentally, Power BI is considered a premium Office option, because Microsoft licenses it that way. Yet, the technology details also comprise new collaboration technologies for SQL Server, Azure and SharePoint. A successful technology collaboration will have boundaries which could arguably belong to one or more of the contributing technology groups. Posted in Power BI, Power View, PowerPivot, Self-service BI, SolidQ, SQL Syndication, SQLServerPedia.